Tapatalk connects to over 100,000 online forums worldwide. Post easily with unlimited Photo and Video sharing and instant push notifications. Tapatalk forever change the way you interact with online forums on mobile. Tapatalk works great for RSS / blogs too. Wattpad is connecting a global community through the power of the story. Discover free stories and books created by writers around the world. 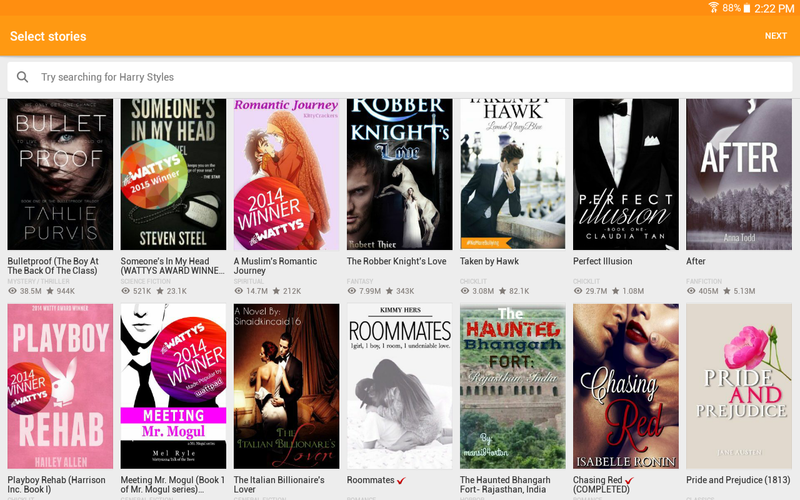 Whatever you’re into—whether it’s romance, science fiction, mystery, comedy, action adventure, fantasy, young adult fiction or fanfiction—you’ll find it all for free on Wattpad. Save your favorite stories and take them with you wherever you go—even offline. Sync your account so you can easily pick up where you left off, whether you’re on your laptop, tablet or phone. Join the community, Connect directly with writers and other readers and discuss the latest plot twists by leaving comments alongside the latest stories. React in real time as new chapters are added, share your favorite lines or create beautiful visual quotes. Read together, Share your library or create reading lists so your friends always know what you’re reading. Publish it on Wattpad and share it with our supportive community. Create a new draft, add chapters to an existing story or add a cover, all from the app. You can even get creative with one of our monthly writing challenges. When inspiration strikes, you’ll have Wattpad right in your pocket. Simple App which lets you know who are viewing your Facebook profile. Lots of apps in the market for it, this was released November 2016.